I combined the traditional Chinese ink and pigments with wax, chalk paint and oil. The process of exploring these media together was challenging. However, the outcome was very satisfying. I feel better when I test out my crazy ideas--watching ink soaking into the chalk paint and stroking scrumptious oil flowing on wax--and I feel even better when get some unexpected and beautiful results! 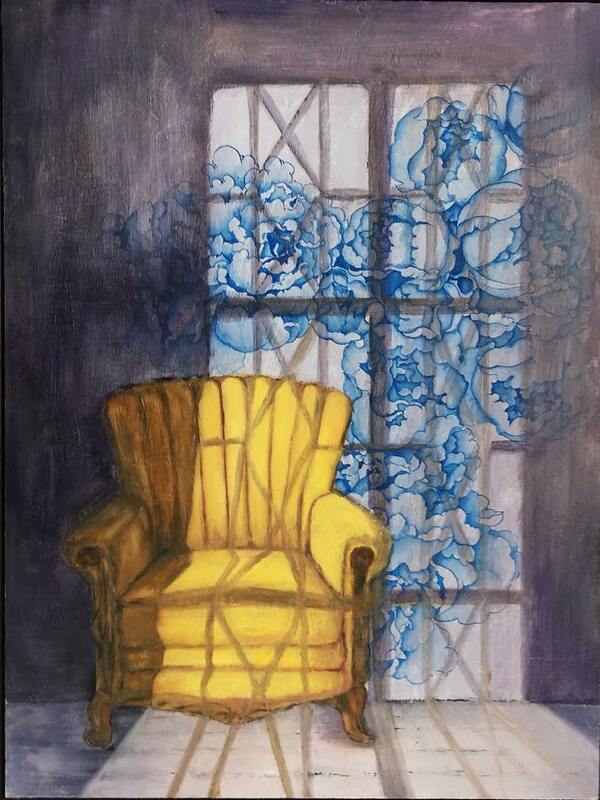 This painting raises the questions: is the armchair waiting for someone? Has someone left? How would you feel when you sit in a such scene? I’ll leave the audience to meditate over it.